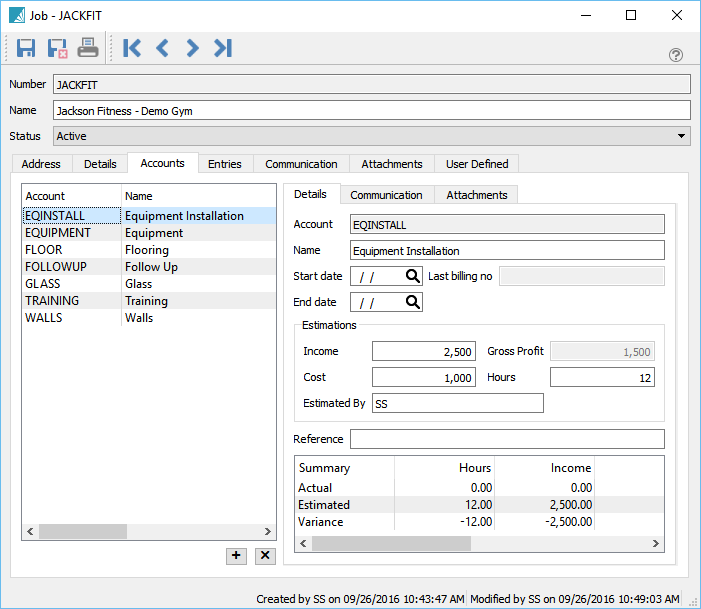 The Job Cost module allows posting of cost, income and time so that a company can track a job through its processes. 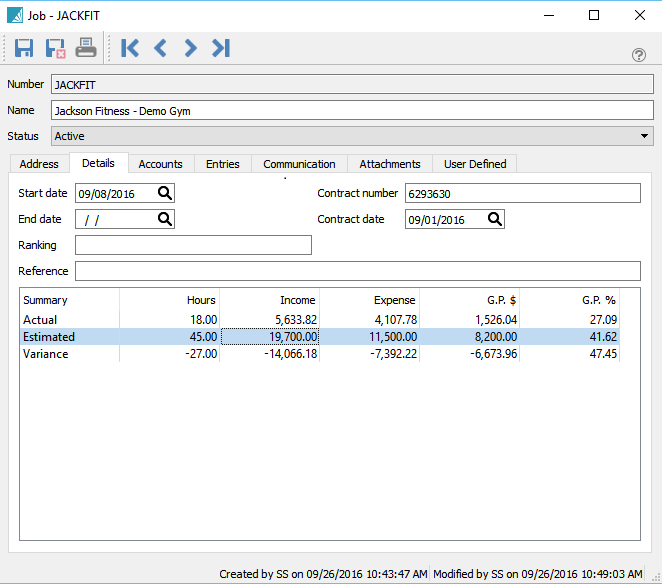 The job is assigned a code and description and the user can add a budgeted income, cost and time so that a foretasted profit is established. 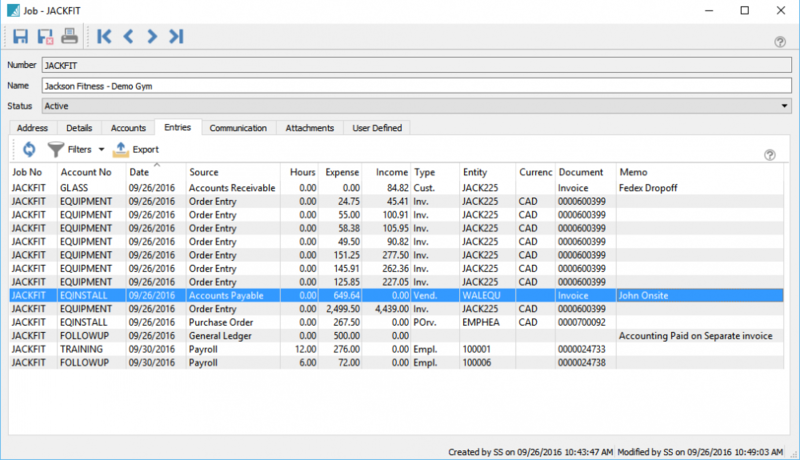 The accounts tab is where the accounts or phases of a job are setup.